The workshop will be held at the home of Little Oke Dolls, in beautiful Newton Abbot, Devon. Please Contact me if you would like additional travel or accommodation information. What: During this intensive two and a half day workshop you will make a 5-6" natural fibre art doll with wire armature, using cotton interlocks (specifically for this kind of doll making), wool roving, mohair locks, and vintage fabric. On the final day you'll learn needle felting techniques when you create a toadstool for your faerie to sit on. For Who: This workshop is for those who have prior hand-sewing experience. It is not a Beginner course and requires comfort with very tiny hand-stitches. The first day will be introductions, making your doll's wire armature, needle felting the head, and familiarizing yourself with the stitches you'll be using. The second day you will be sewing your doll, learning techniques for shaping & embroidering a face, making feet and hands, and attaching wool locks for hair. 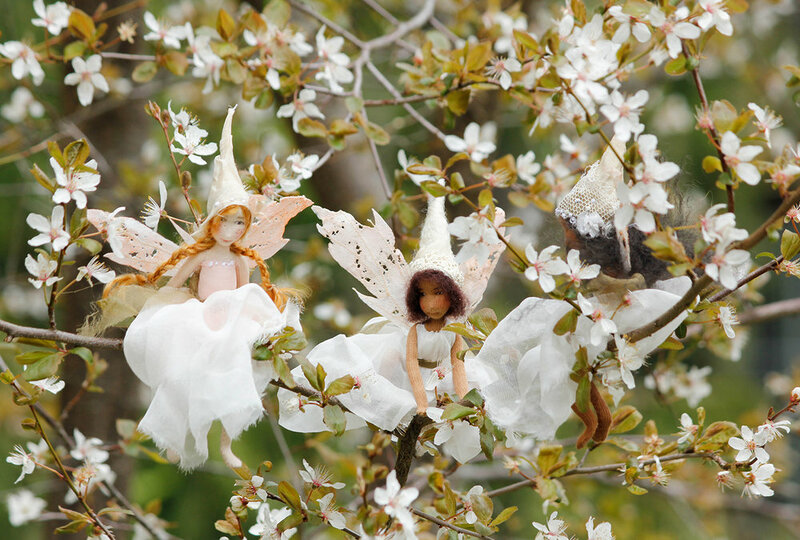 The third day you will be hand sewing clothing from antique fabrics and wool felt & creating tattered faerie wings. 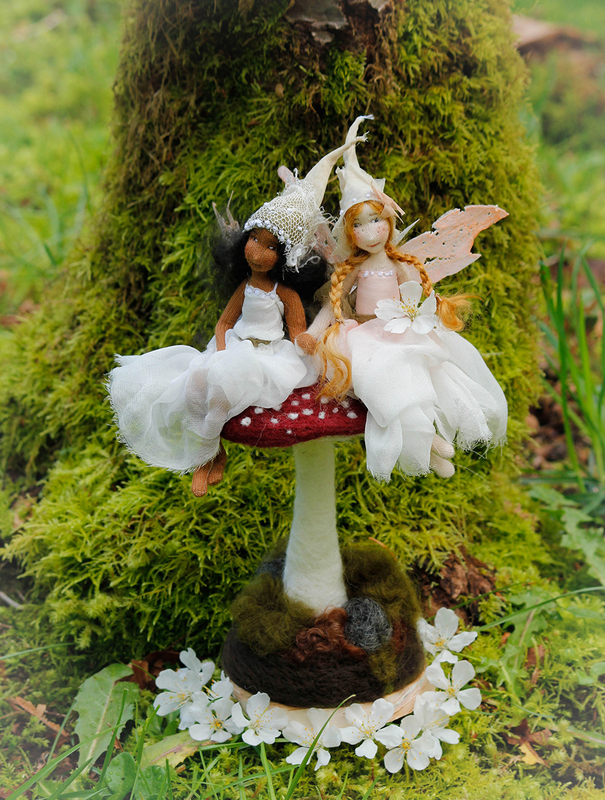 We will spend the end of the afternoon creating felted moss & flowers to decorate the base of your toadstool. If there are not a minimum of six people registered for the workshop by the end of March, the workshop will be canceled and you will receive a full refund.